A sculptor of figures, animals and portraits in bronze, he was born in Manchester where he trained at Manchester School of Art. After further study at Edinburgh College of Art, and completing his training in Milan under Marino Marini and Giacomo Manzu, 1955-7, he worked there and taught sculpture in Nigeria, 1960-3, before returning to ECA as a member of staff. He has held several one-man shows and has exhibited at the RSA and RGIFA since 1963. His ecclesiastical work includes, the Stations of the Cross in St. Mark's (R.C.) Church, Oxgangs Avenue, Edinburgh (1959); The woman Taken in Adultery, St. Mary's of the Angels (R.C.) Church, Flakirk (1960); a Cross for St. Paul's (R.C.) Church, Pennywell Road, Edinburgh (1968); and the Stations of the Cross in St. Anthony's (R.C.) Church, Rumford(1985). His portrait and ideal work includes a bust of Benno Schotz (1978, SNPG ), Mother and Child (1986) and Primogenito (1988). 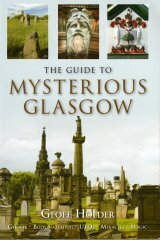 For Glasgow, he executed the bronze figure group Heritage and Hope in Springburn's Atlas Square (1989-90). He won the Benno Schotz prize for portraiture, 1969, and was elected ARSA , 1972, and RSA , 1977.